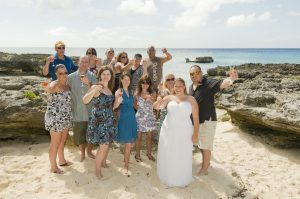 This was a bigger group than I usually take to "My Secret Cove" but we got a very late start, and the sun was scorching hot so I tried to fit in some shade for this group of Canadians who came in on a cruise. 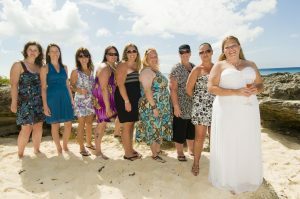 It was a beautiful day at "My Secret Cove"
"pretty girls all in a row"
These Canadians know how to have fun! 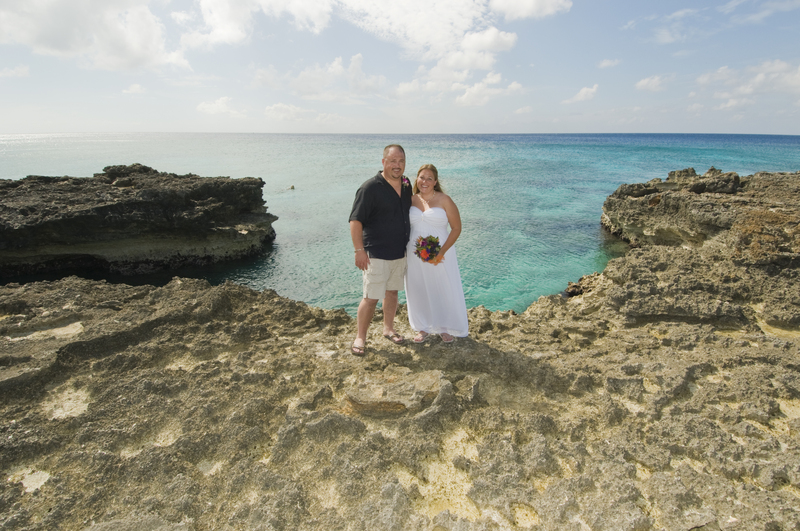 Don't you love this shot at Smith's Cove, Grand Cayman? 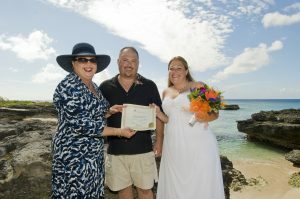 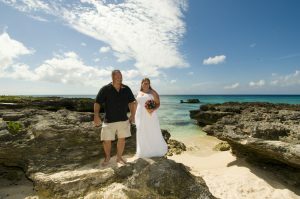 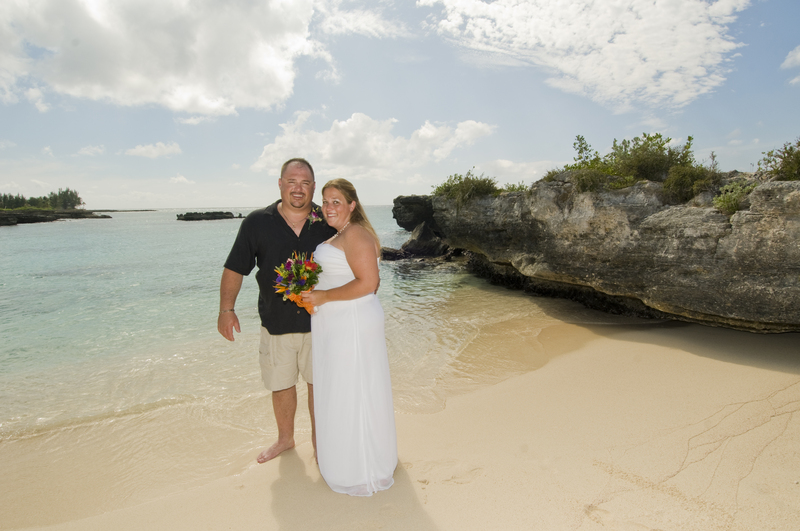 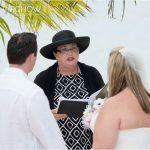 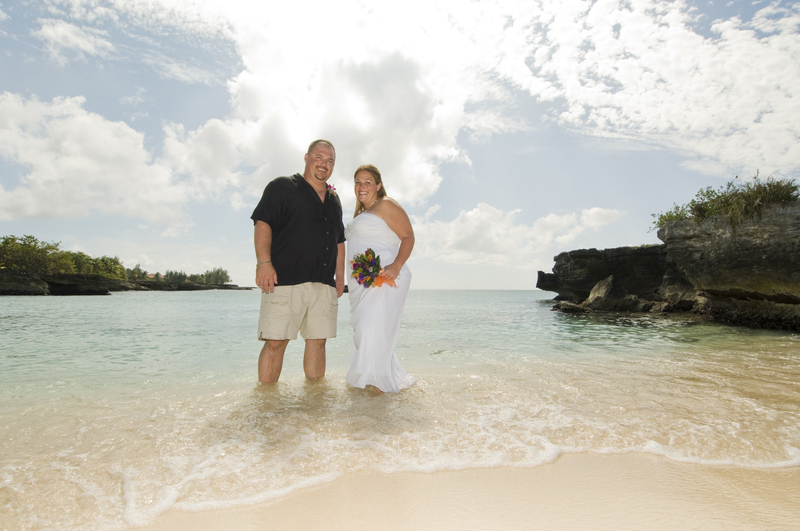 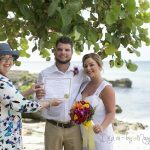 When you choose My secret Cove as the location for your Grand Cayman Destination Wedding, you have the opportunity to have your posed pictures at Smith's Cove, Grand Cayman's favourite wedding location. 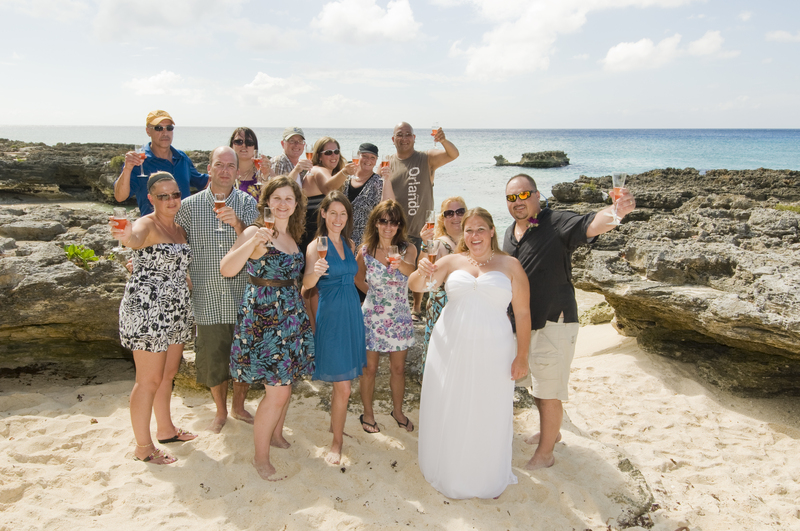 Find real value in this "all-inclusive cruise wedding package", priced much below similar packages offered by the cruise lines. 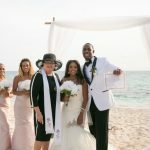 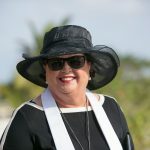 Then with your savings, take the whole gang down to Seven Mile Beach and hang out at one of the local beach bars like the perennially popular "Royal Palms"